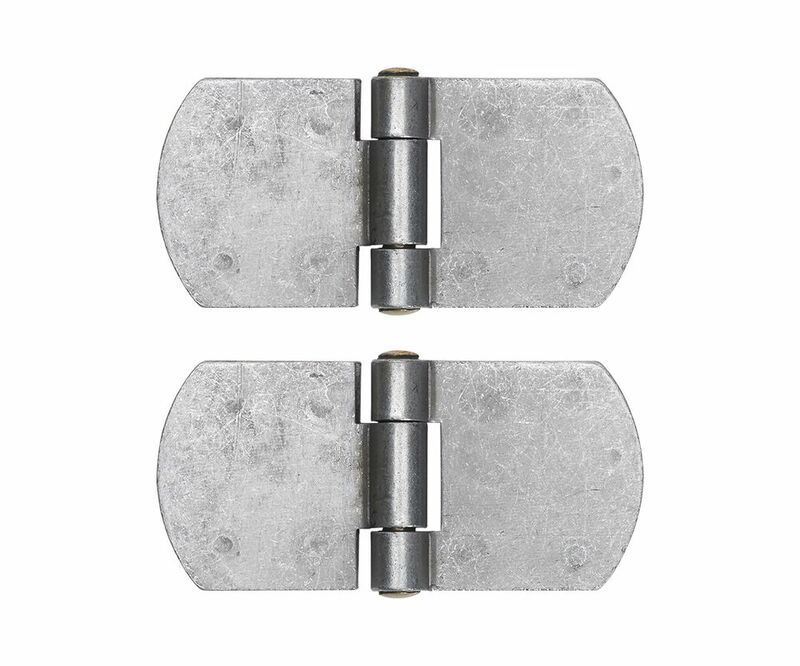 This double pressed hinge is made from 2.5mm gauge mild steel, each leaf is then 5.0mm thick, 50mm along and spot welded together for a strong permanent join. A brass, 6mm diameter pin offers a corrosive resitant pivot point. This a a very strong hinge for welding commonly used on heavy doors such as ship doors and containers.